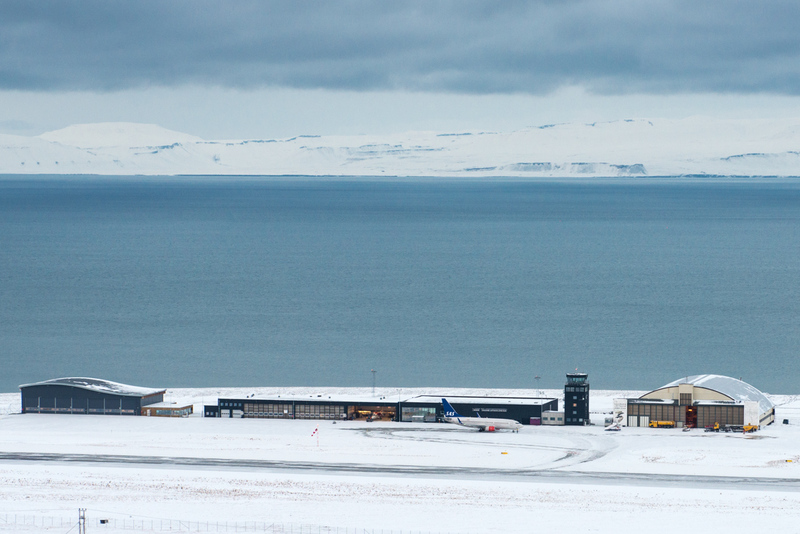 Entrance of the "Doomsday Vault"
Airport of Lonyearbyen the the largest settlement and administrative center of Svalbard, Norway. 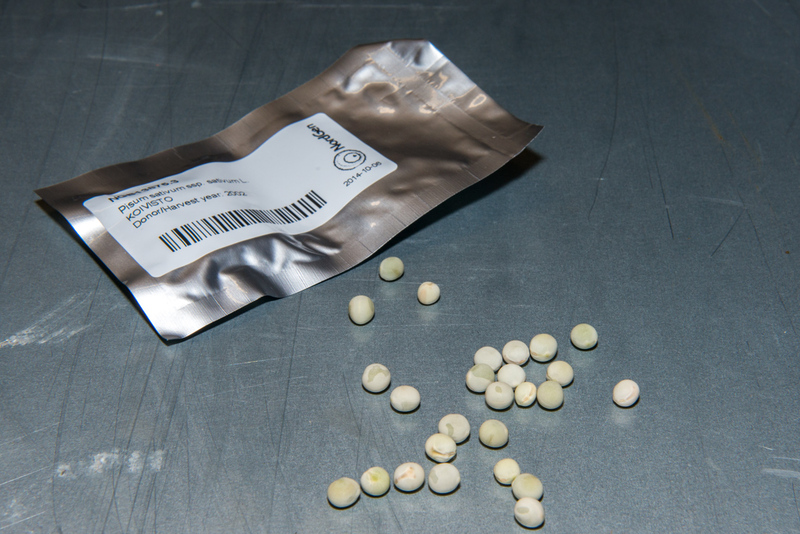 Duplicate seeds from gene banks all over the world are sent by airfreight to be safely stored in the arctic permafrost. 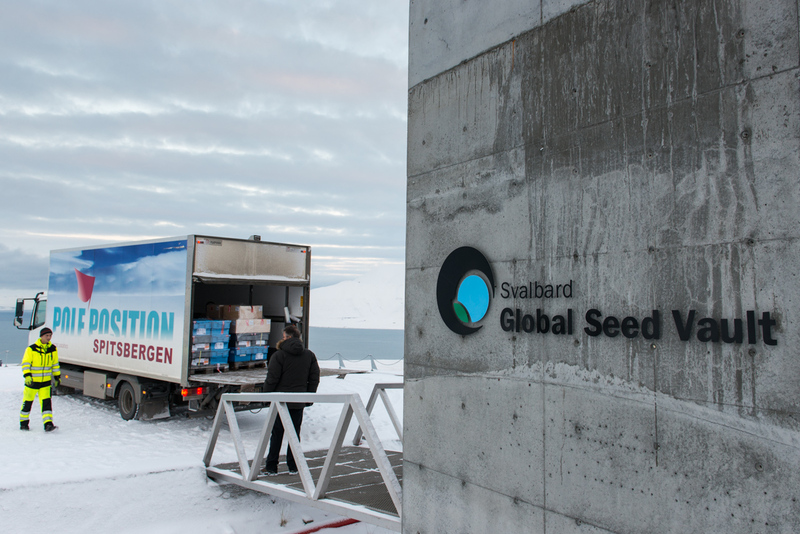 Seed deposits from India, Columbia and Taiwan in front of the entrance of the Svalbard Global Seed Vault. 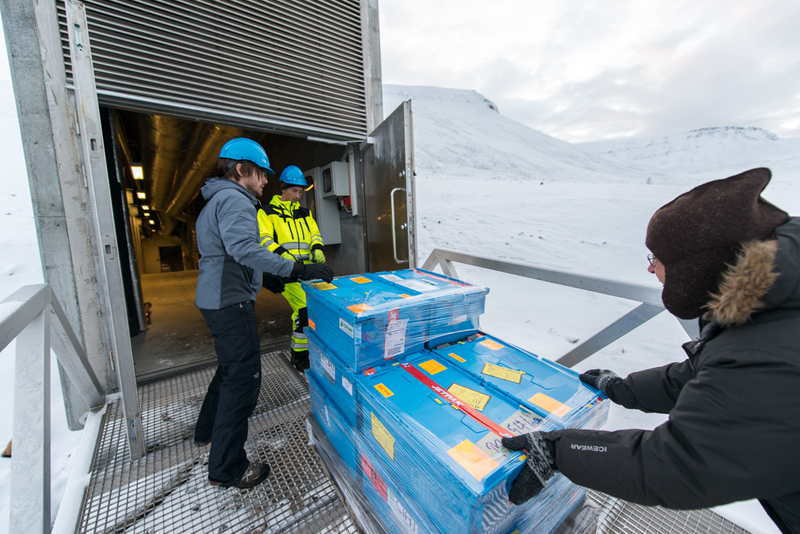 Seed deposits from India, Columbia and Taiwan are brought into the Svalbard Global Seed Vault. 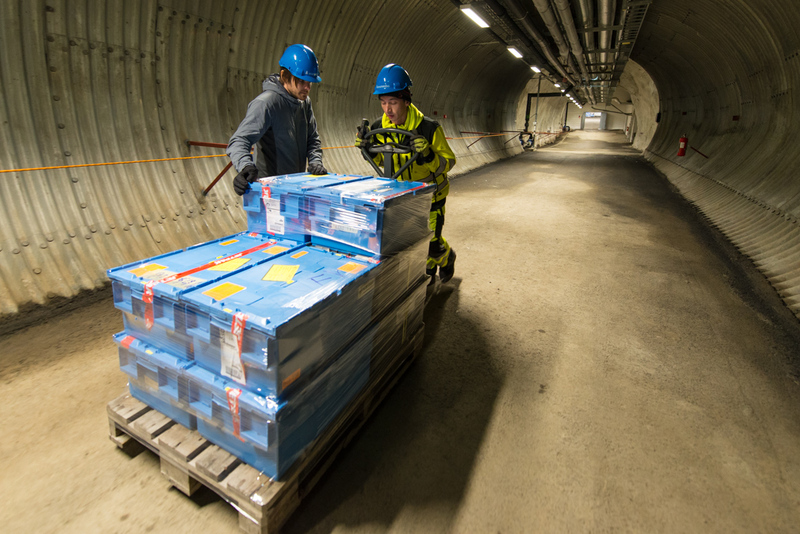 Seed boxes on their way down the more than 100 meter long tunnel seperating the vault's entrance and the storage rooms. 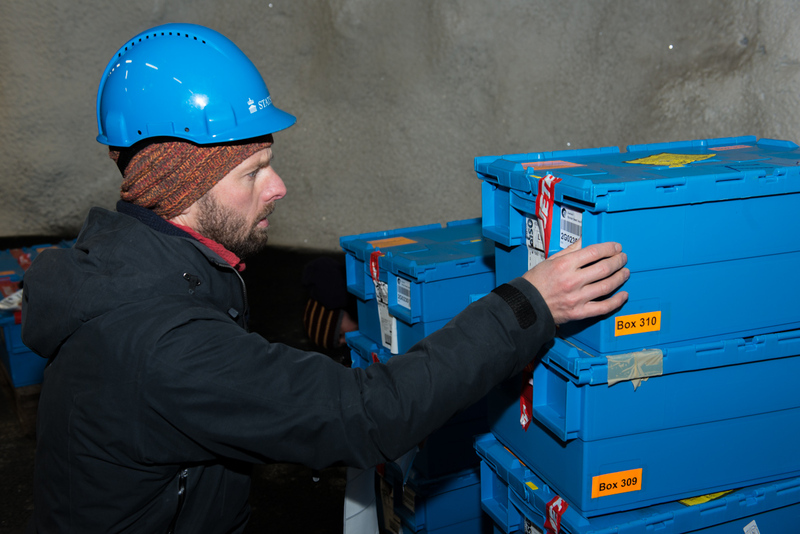 Ola T. Westengen, the Coordinator of Operation and Management of the Svalbard Global Seed Vault labels seed boxes before they are put on the shelves in the storage room. 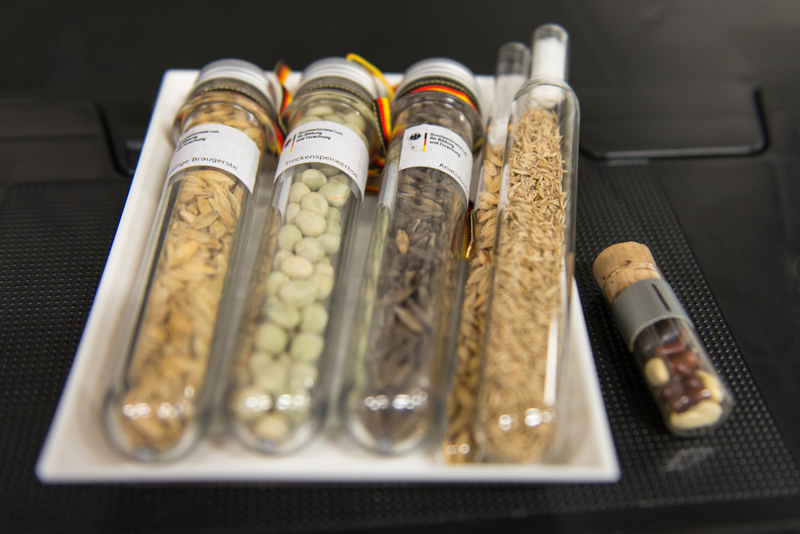 Seed samples from Germany . Glass containers like this were used before sealed foil packages proofed safer. 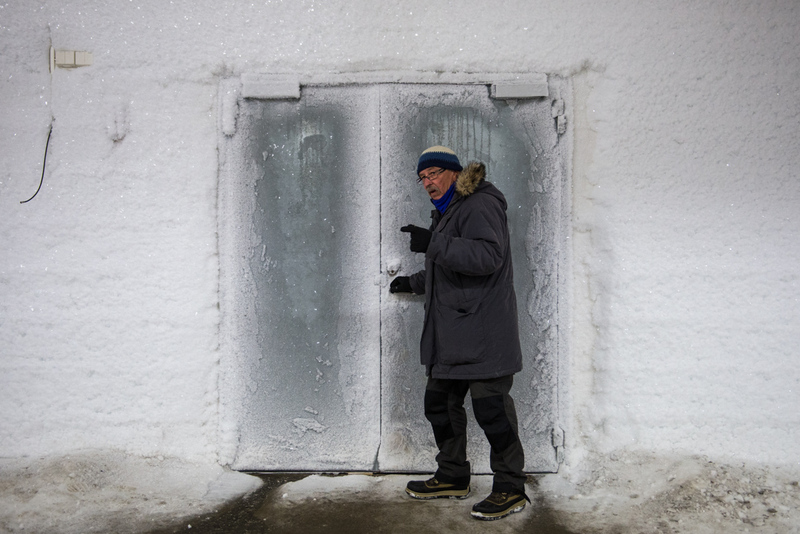 Professor Roland von Bothmer in front of one of the storage rooms inside the Svalbard Global Seed Vault. 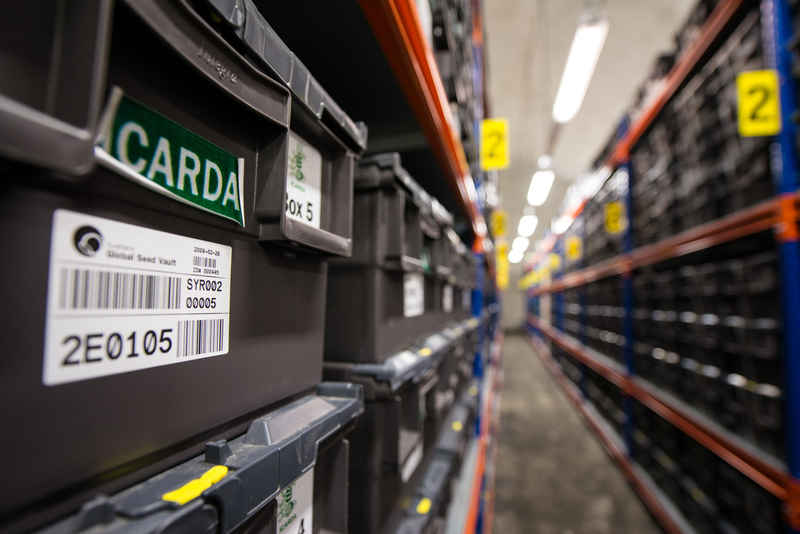 The storage rooms are kept at −18 °C to ensure low metabolic activity and delay seed aging. 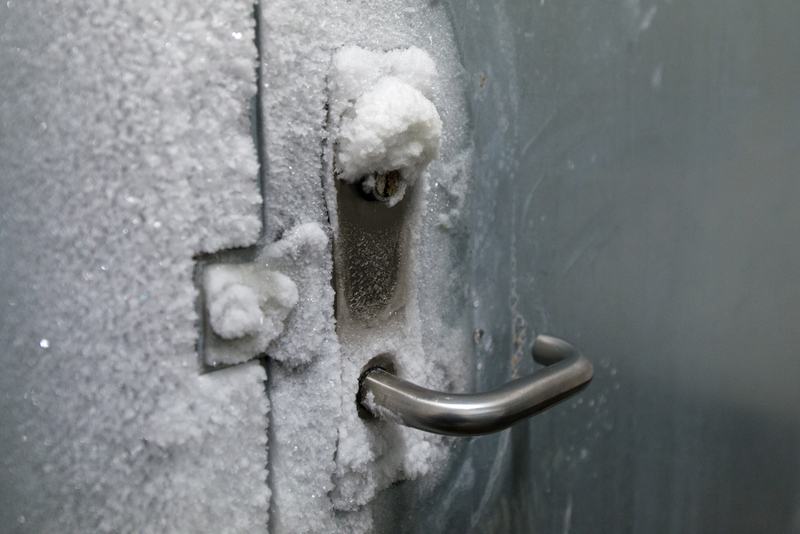 Door to one of the storage rooms inside the Svalbard Global Seed Vault which are kept at −18 °C to ensure low metabolic activity and delay seed aging. Professor Roland von Bothmer opens the last out of six locked doors the seeds have to pass on their way to the storage rooms. 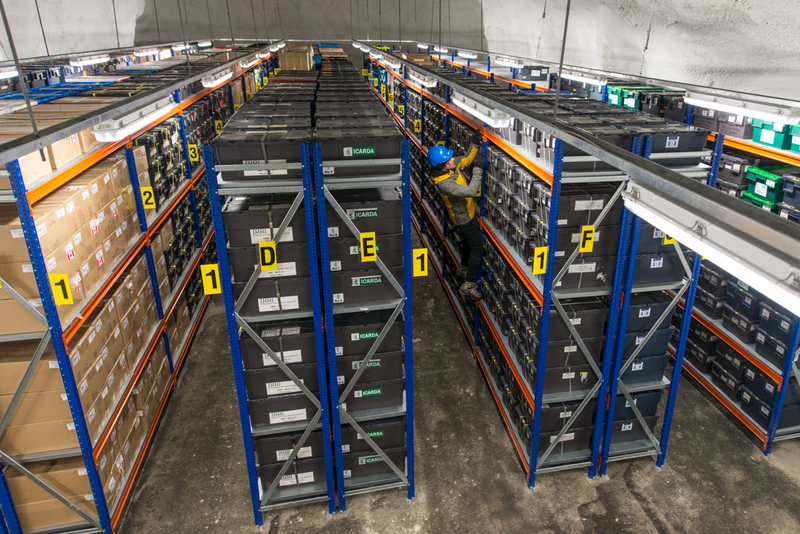 Storage shelves inside the Svalbard Global Seed Vault. 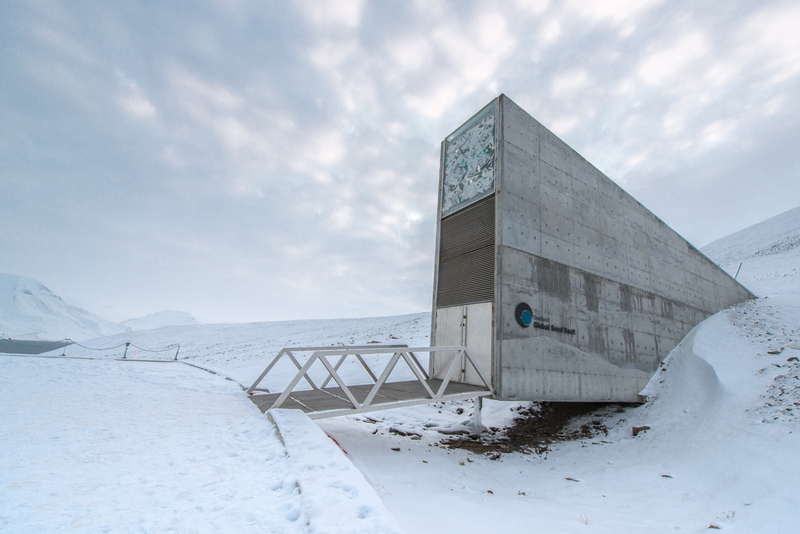 In the end of 2014 the Vault holded more than 800,000 samples, originating from almost every country in the world. Professor Roland von Bothmer in front of some wooden seed boxes from North Korea. 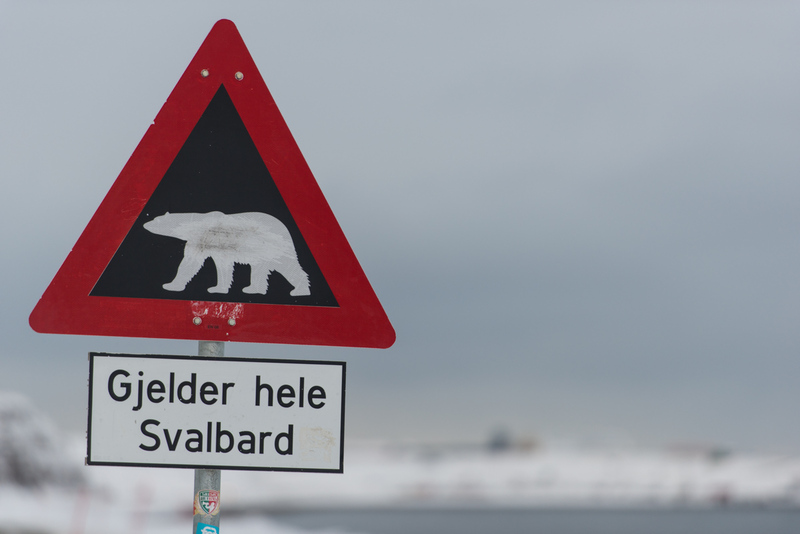 This box is part of a world heritage seed collection from Syria which was brought to Svalbard in 2014. 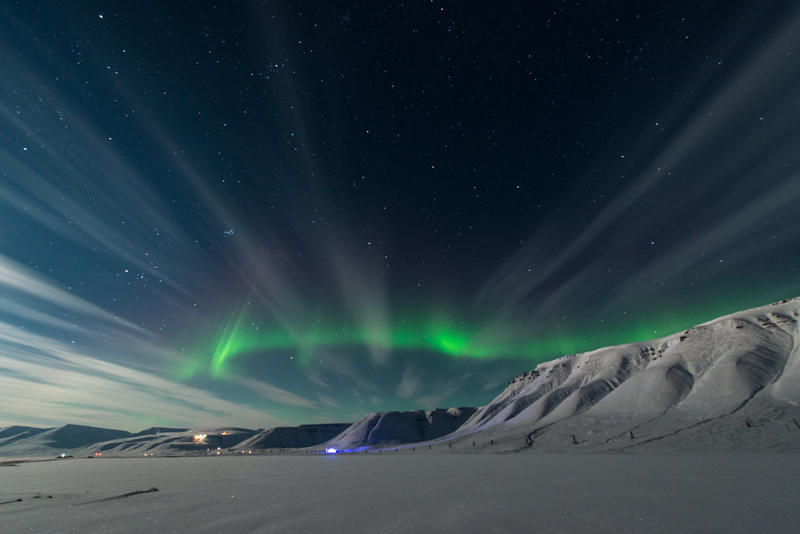 Northern lights outside of Longyearbyen, not far from the the Svalbard Global Seed Vault.